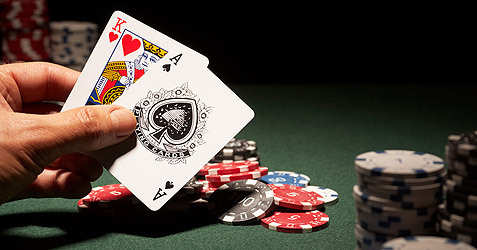 Before you hit the casino, now is the time to brush up on your skills, depending on your choice of game. High rollers often feel like superstars when in a casino, and there’s a big reason for that, as they win big often and are the superstars of casinos quite frequently. If you are looking for some tips on how you become a casino superstar, these aren’t guaranteed to bring you success, but they very well could help. First of all, before you hit the tables, you should already have a good idea of what game you like to play the most. Then you can work on your knowledge; if your game of choice is blackjack, then it is best to use some casino guides on blackjack to ensure your skills are up to date. All different classic casino table games will have different skill levels and odds, so always make sure you know as much as possible before hedging your bets. Like with everything, practice always makes perfect. When you first play a game, unless it is out of complete sheer luck, the chances are you won’t win. As you begin to practice, and the more you play that game, generally the better you get; this applies to any casino game, too. There are some casino games like video poker where the house has only a 46 percent advantage, and to actually be able to make some money, you need to play at an expert level, so start practicing as soon as possible. Casinos are known for being vibrant and highly entertaining places. There is always something going on, including shows, singers and everything in between, like a spinning slot carousel which can be found at Circus Circus casino on the Las Vegas Strip. To be able to become a casino superstar, you need to keep your eye on the prize, stay focus and not get distracted by all the commotion surrounding you while you are playing a game. Each and every casino has calculated the point at which they are guaranteed victory, so you may win the first spin on the roulette wheel, and the second, and possibly the third. However, if you keep playing, the house has odds that favour them, so they would end up reaping all of your chips. Before it gets to that point, if you have made a healthy win, know when to stop and walk away as a casino superstar. There’s a big reason why casinos don’t have windows or even a clock, as they want players to lose track of time so you play for as long as possible. To combat this, wear a watch. If you have been sitting at a table for an extended period, the average being about 30 minutes, it is probably a good idea to move along to something else, regardless if you are up or down.